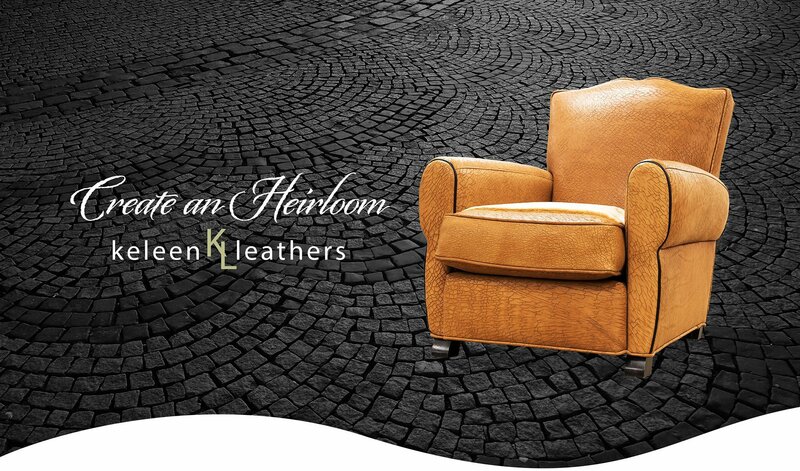 Keleen Leathers searches the world to bring you the finest upholstery leathers, hand selected for their natural beauty. Some natural markings of life on the range may be apparent. 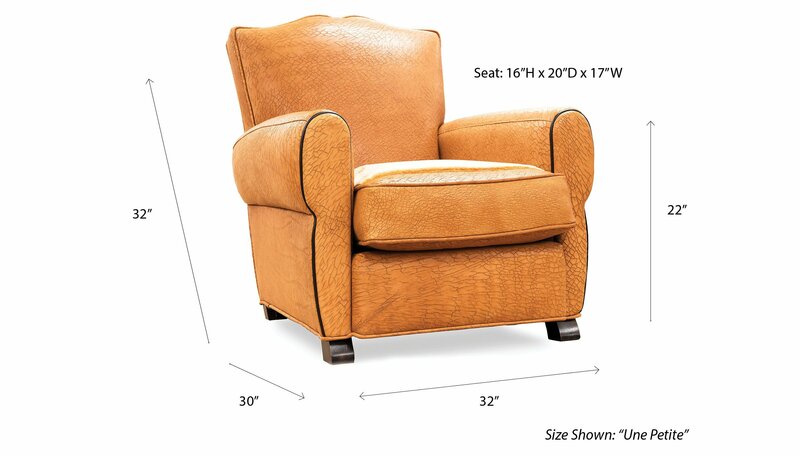 However, these are the natural characteristics that contribute to the natural beauty of each piece. 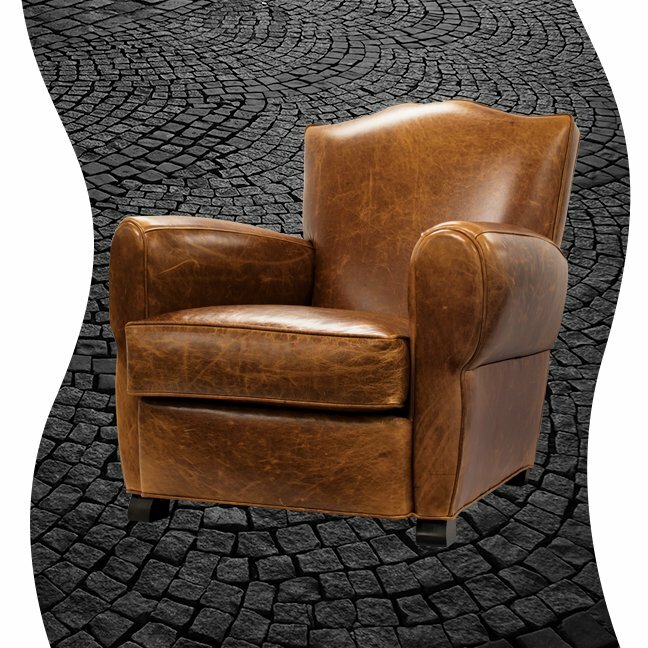 Like our own skin, these natural variations are the hallmarks of genuine full grain leather. 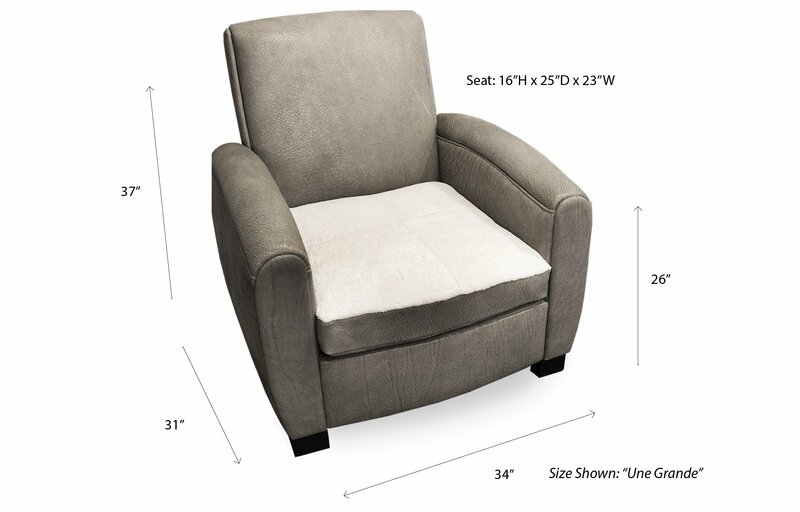 As with all leather furniture, minimize exposure to sunlight. To keep your furniture looking great we suggest regular dusting. For deep cleaning, wipe the entire surface area with a slightly damp cloth followed by a dry towel. Always wipe the entire area, DO NOT SPOT CLEAN. If necessary use a mild soap, do not use harsh detergents. 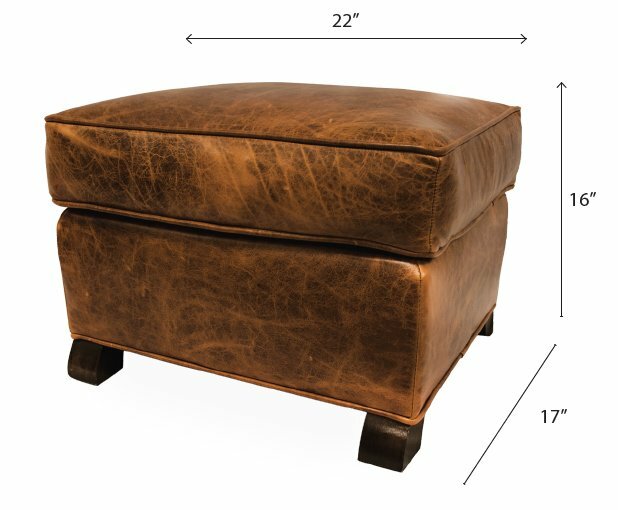 Une Grande requires 150 square feet of leather to create your heirloom. 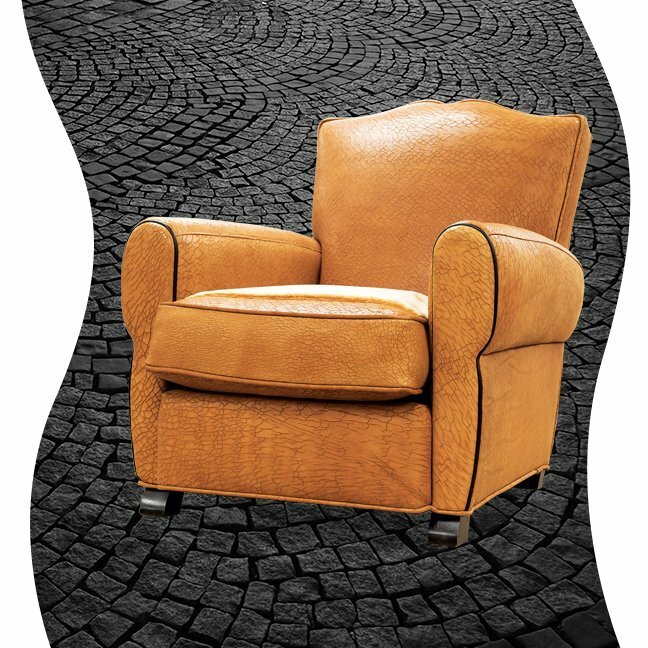 Compliment your custom Classic Paris Club Chair with a gorgeously upholstered leather ottoman. These two were made for one another. 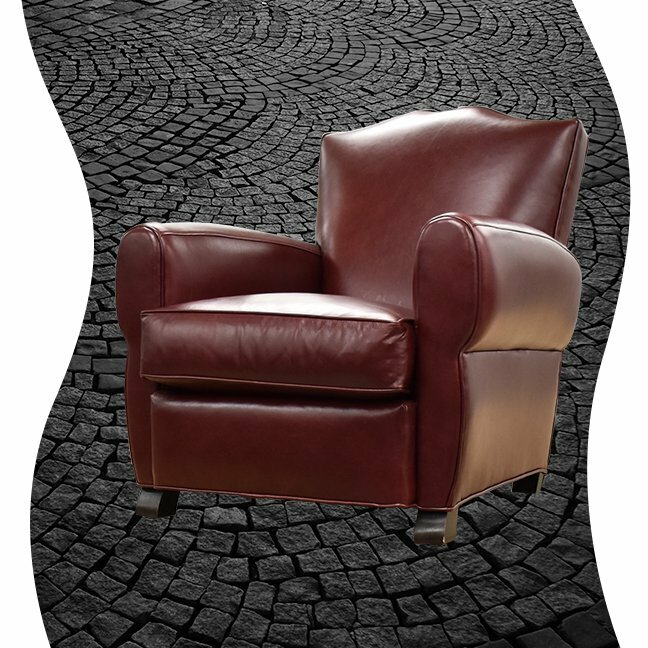 For Customer Service, please call 630-590-5300 or e-mail salesinfo@keleenleathers.com.